The irony is that the home-grown retailers are starved for cash and need capital and at the same time global giants are finding ways of investing in multi-brand physical retail companies. 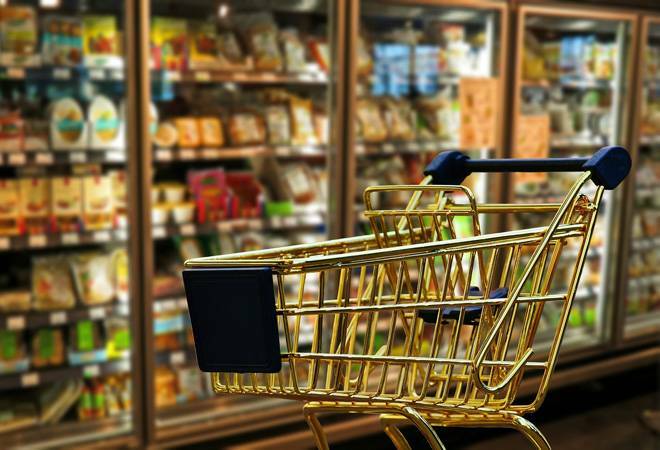 Amazon in partnership with Witzig Advisory Services (owned by Samara Capital) has acquired Aditya Birla Retail's Rs 4,400 crore grocery retail business More. While Samara Capital will own 51 per cent of More, the remaining 49 per cent would be owned by Amazon. The American e-commerce giant has been aggressively looking at deals to strengthen its omni-channel presence by picking up stakes in Indian physical retail companies. Its investment arm had picked up a 5 per cent stake in Shoppers Stop last year and Amazon is also eyeing a minority stake in Kishore Biyani's Future Group as well as Spencer Retail. The stake in More will give Amazon's omni-channel aspirations a huge fillip through the 575-odd More stores. There is also news of Google and Alibaba-backed Paytm getting together to pick up stake in Future Retail. The retail industry is bustling with news reports of global retailers trying to get a share of the Indian consumption pie. But the policies of the land don't allow FDI in multi-brand physical retail, 100 per cent FDI is allowed only in cash and carry retail. The argument of policy makers for not allowing FDI in multi-brand retail is to promote the interests of the home-grown retailers. But the irony is that the home-grown retailers are starved for cash and need capital and at the same time global giants are finding ways of investing in multi-brand physical retail companies. Aren't deals such as Amazon-Samara Capital a slap on the face of policy makers? "The FDI retail policy is a sham," agrees Arvind Singhal, Chairman of retail consultancy, Technopak. "It consistently reflects lack of understanding about the need of the modern retail sector and how capital plays an important role in modernising it," he adds. Kumar Rajagopalan, CEO of Retailers Association of India, in an earlier interview with Business Today had said that even though the policy makers claim to give priority to Indian retailers, there is zero focus on enabling them to grow. "What was needed was a clear policy to enable retailers to grow in terms of funding. If you allow for level playing field in terms of funding, it allows retailers to do a lot of things. There should have been schemes for smaller retailers, to allow them to access funds at a much better rate." Industry experts feel that the government should have told the retailers that they are expected to be globally competitive and it should have supported them to be globally competitive. "Instead of the FDI policy focusing on brands coming from outside of the country, we should have been giving impetus for Indian brands to be able to become global," says Rajagopalan. "China for instance, has consciously given support to their own businesses, allowed them to compete globally. In India, we have done exactly the opposite. We told our retailers that you are poor; we will create protectionism policies for you, which effectively is not protectionism. It was a policy that allowed leakages, it allowed for some guys to come in a round-about manner and create competition at a large scale. We have not allowed for small kids to grow but allowed the outsiders to come and fight with the small kids. That's the unfortunate situation," adds Rajagopalan. Singhal of Technopak says that instead of disallowing foreign capital the discussions should have focused on how to put in more capital. "They should have spoken to Amazon or Alibaba to help them export much more from India. The conversations should have been on how to increase their buying from India and how could the global biggies support MSMEs in India."